Ashley & Devin grew up on opposite sides of the globe and were drawn together from time spent in the international melting pot of London, England. 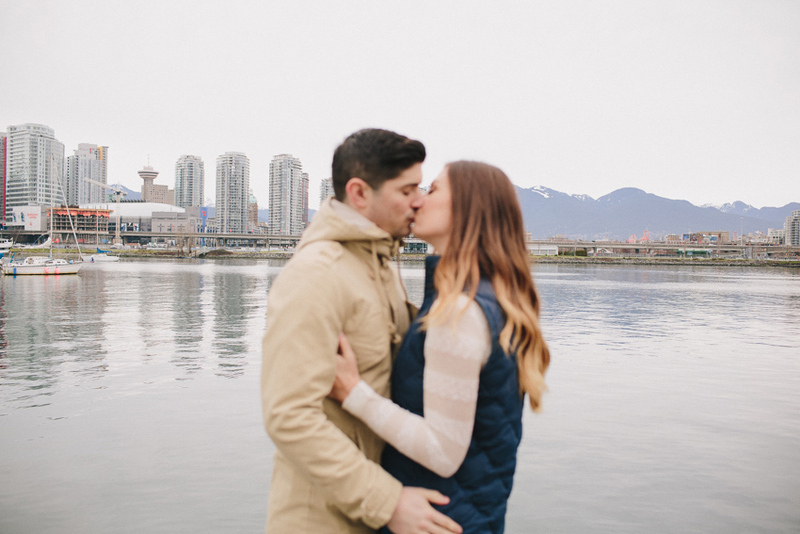 Now that they call Vancouver home, we decided on a few key spots for their portraits — starting at False Creek (the site of their engagement) and ending in urban industrial areas of Vancouver. With their sharp sense of good food, love of a good brunch spot with fine coffee and generous laughter, I knew we'd get along just fine. We ended our cool January morning session warming up over hot drinks and even lucked out to take some bonus photos with a beautiful dog who photo-bombed our shoot. 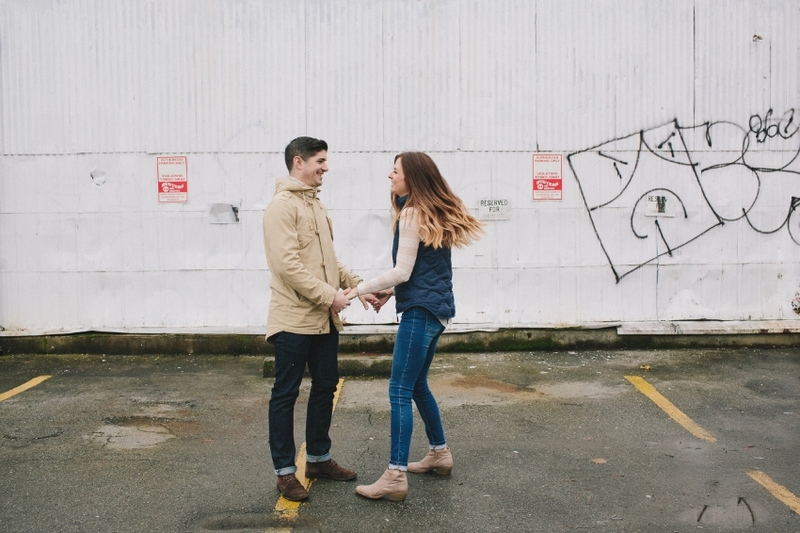 Can't wait for their July wedding at the UBC Botanical Gardens!